Milo did not waste anytime wrapping Debbie around his finger as he started his show career winning a Reserve Winners at our clubs Specialty in June of 09 and then in only a couple weekends out was a New Champion. He is now humbling Deb in obedience and rally. 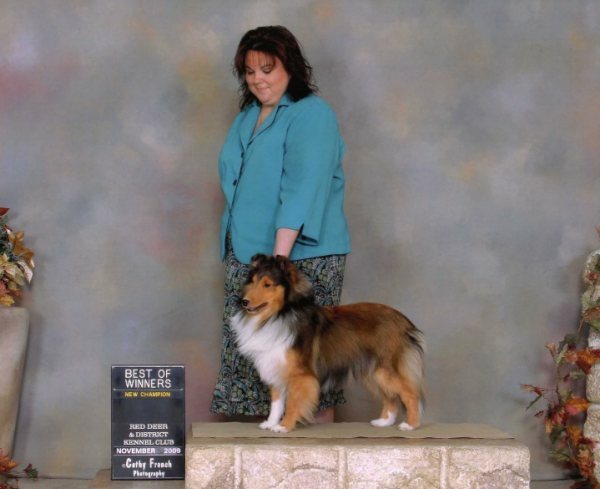 Meanwhile we look forward to seeing Fons, Deb's husband in the obedience ring with Milo's littermate Zen.